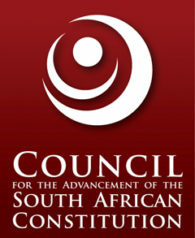 CASAC is an initiative led by progressive people who seek to advance the South African Constitution as a platform for democratic politics and the transformation of society, and believe in the advancement of a society whose values are based on the core principles of the Constitution, namely the promotion of socio-economic rights, judicial independence, the rule of law, public accountability, and open governance. The founding members of its Council believe that the people are the ultimate custodians of the Constitution, and that custodianship needs to be relocated from institutions to people. Once constitutional rights are claimed by the many, then ordinary people will undertake extraordinary acts to assert their rights, and protect and advance the Constitution. A complacent citizenry is the greatest threat to our Constitution. As responsible citizens, we should assert our right to actively campaign for the realisation of the rights enshrined in the Constitution. Various aspects of CASAC — its focus, principles and values, programme of action, and governance structures — are outlined in greater detail in the sections below. The first Bench of South Africa’s new Constitutional Court, with Dr Frene Ginwala, Speaker of the National Assembly; President Nelson Mandela; and Deputy President Thabo Mbeki. 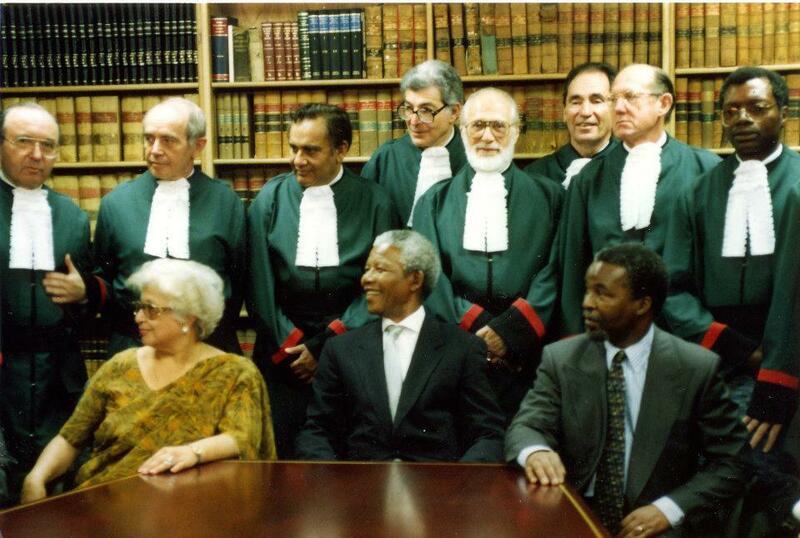 From left to right are Justices Richard Goldstone, Johann Kriegler, Ismail Mahomed, Arthur Chaskalson, John Didcott, Albie Sachs, Lourens Ackerman, and Pius Langa.